I live in San Francisco and it seems like everybody here is crazy about Halloween!!! I notice as the years go by Americans in general keep getting more and more into Halloween. As a matter of fact, Americans spend more than$5 Billion a year celebrating Halloween!!! Perhaps it is because Halloween provides an escape from everyday reality? If you are not familiar with Halloween, people tend to dress up in costumes to pretend they are other people. When I was a child it seems like it was more of a trick-or-treat thing, but it appears to have stuck with many adults who get really into it. This next video is really funny and strange at the same time. It features Al Roker, the host of the Today show, dressed up as the Hans Solo character from Star Wars that was play by Harrison Ford. Notice Al Roker is wearing his trademark Rolex Submariner on his right wrist in the video!!! I am not sure what is going on, but the Ewok's seem to get drunk and loose their minds!!! It's a Bird...It's A Plane...It's crazy dudes flying through the sky like Superman!!! 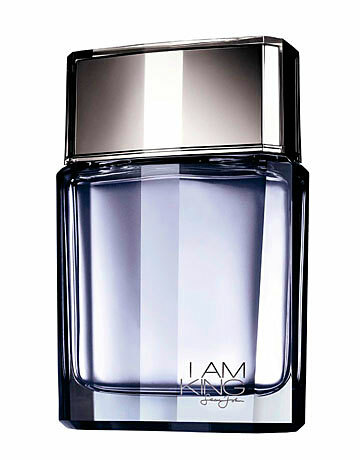 Sometimes I dream I am flying through the sky like Superman. These totally crazy dudes are actually doing it!!! My jaw dropped when I first saw this. Totally fascinating with some incredible footage. Enjoy!!! Historical Note: So where did this idea of a flight-suit come from? Franz Reichelt, an Austrian born tailor created an overcoat flight suit that was supposed to work like a parachute. To showcase his invention he jumped off the Eiffel Tower in 1912, which at the time was the worlds tallest man-made structure. Things did not work quite the way Reichelt expected and he fell to his death. Warning: This video is pretty heavy (Literally & Figuratively). 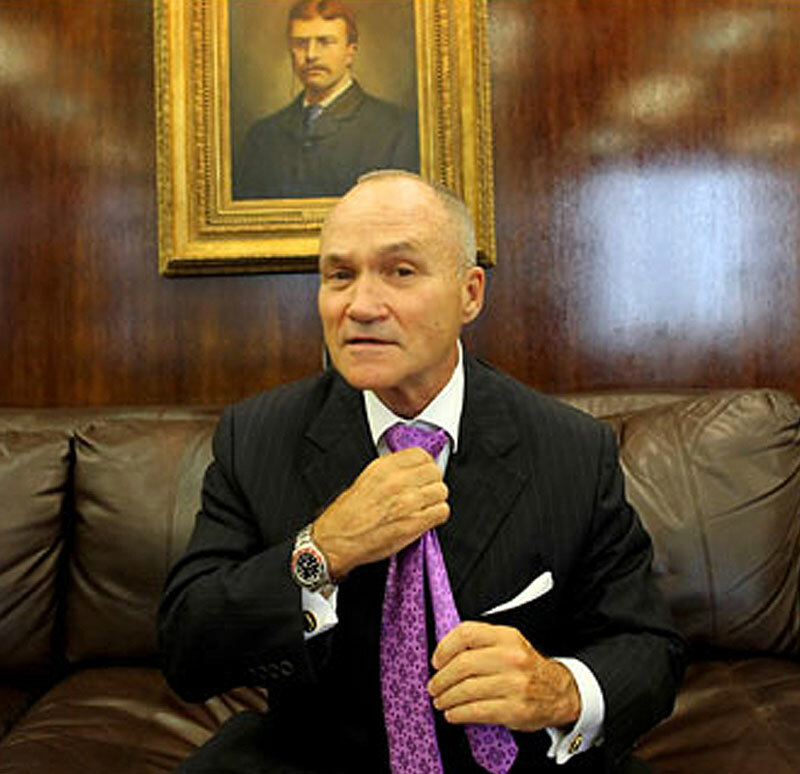 Commissioner Kelly (Sounds very Batman–think, Commissioner Gordon) clearly prefers Coke over Pepsi, at least in his choice of Rolex GMT. 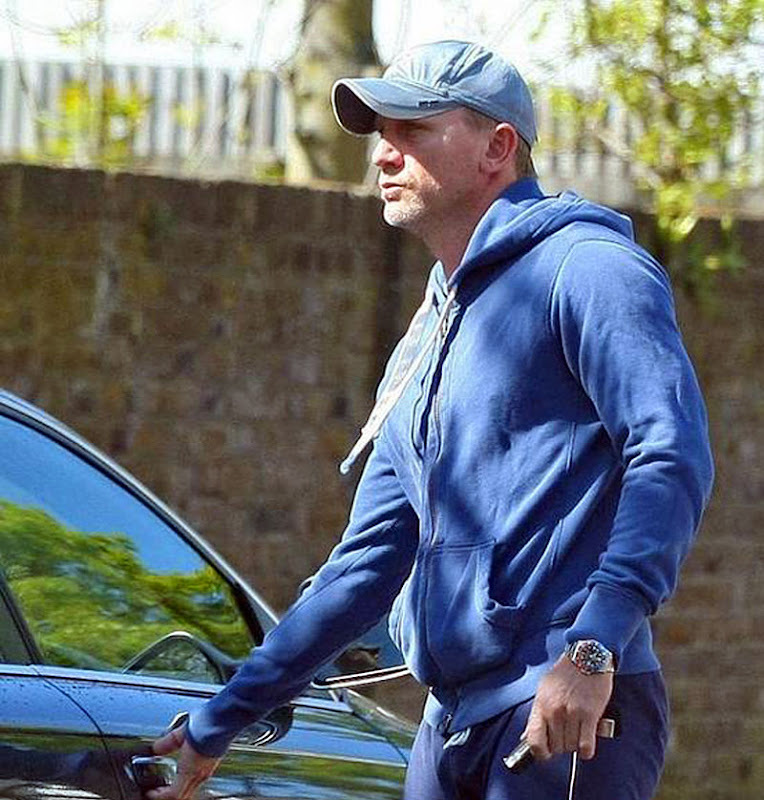 It is interesting because on Jake's Rolex Watch Blog we seem to see so many more Pepsi GMTs than we do Coke GMTs, so it is nice to see somebody with a Coke and a smile (I think he is smiling?). 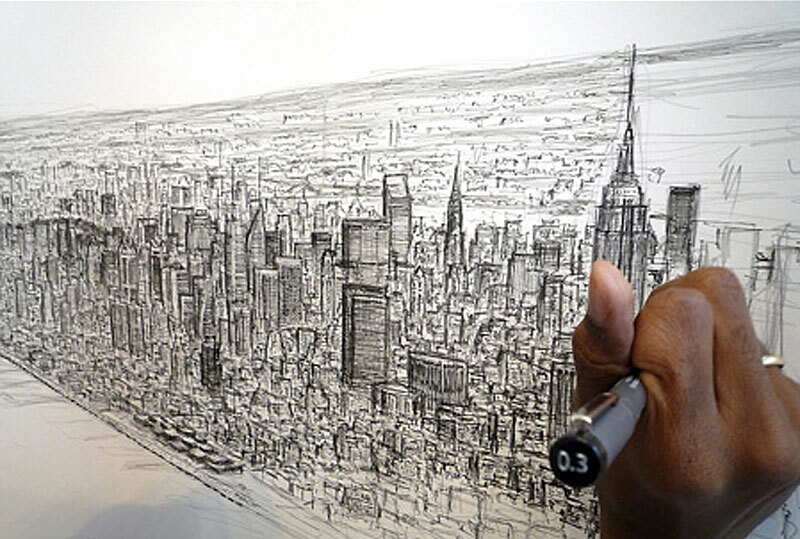 Autistic Artist Draws New York Skyline From Memory!!!! This is a most amazing story!!! Since we just saw New York City Police Commissioner, Raymond Kelly, I thought it would be great to take another look at New York–this time drawn from the memory of a British man named Stephen Wiltshire. As you can see, Stephen Wiltshire is an extremely talented artist, and one of the things that makes him unusual is that he is autistic. His artistic talent just blows my mind!!!!!!!!!!!! Chip took this great photo of his OysterQuartz Rolex Datejust on top of some Quartz crystals. Kind of has a Superman's cave vibe to it. Remember in the Superman movie where Marlon Brando plays Superman's father? 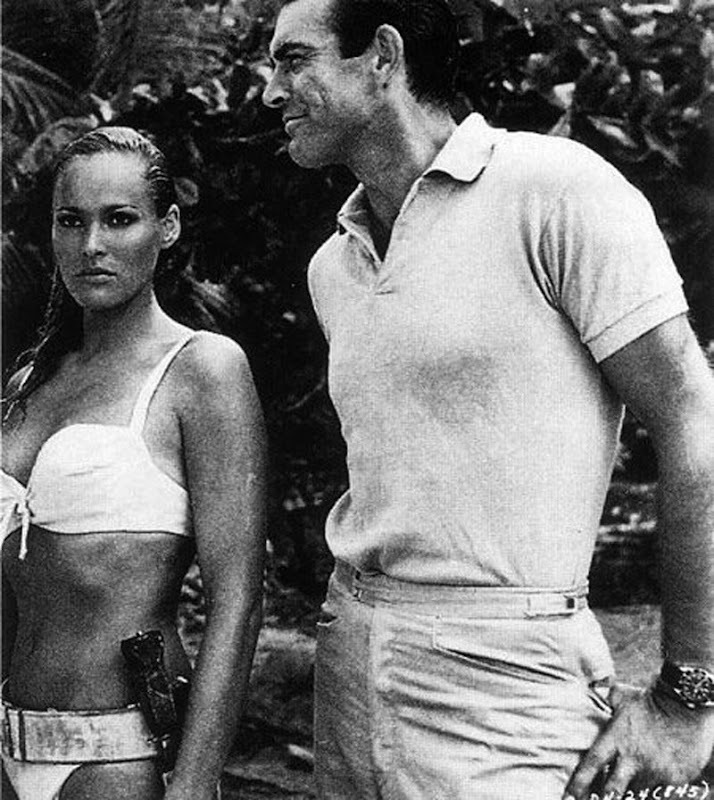 I think that was Marlon Brando's last movie he made just before he gained a lot of weight. 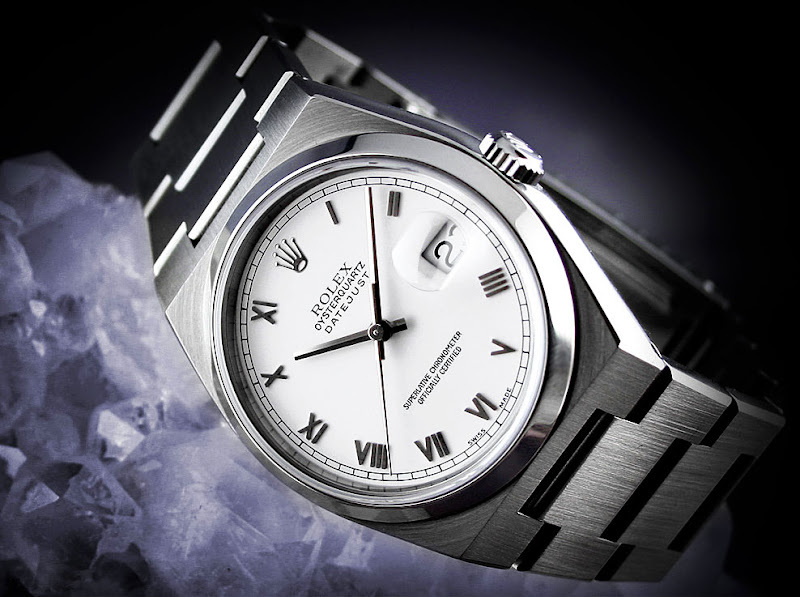 Every time I look at a Rolex OysterQuartz I get confused? I can't figure out if it looks great or just weird? 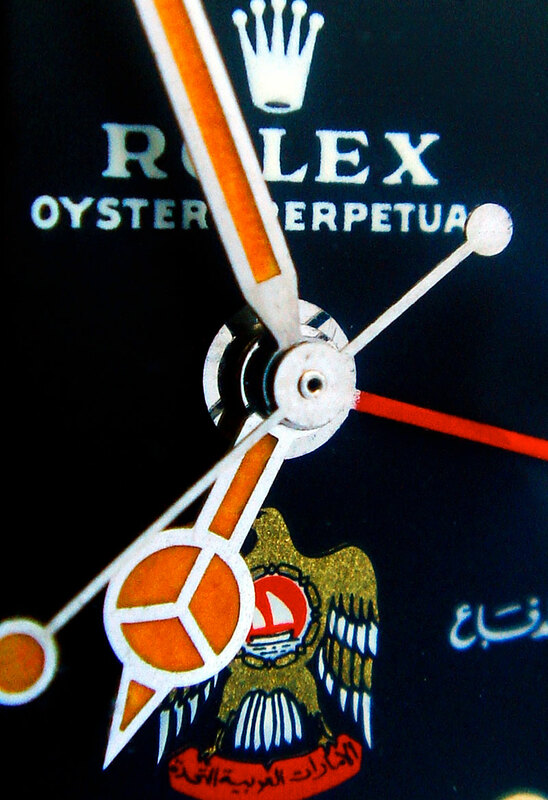 The OysterQuartz Rolex watches definitely have a 1970s vibe. 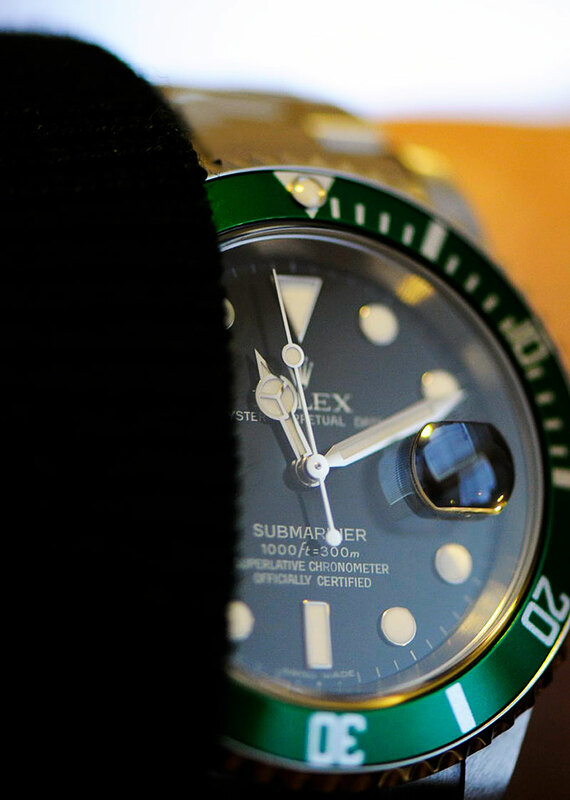 Vu took this great macro/wrist shot of his LV Submariner, which ironically is the watch Daniel Craig's Project X Designs PXD SS1 is based upon (in the article below). 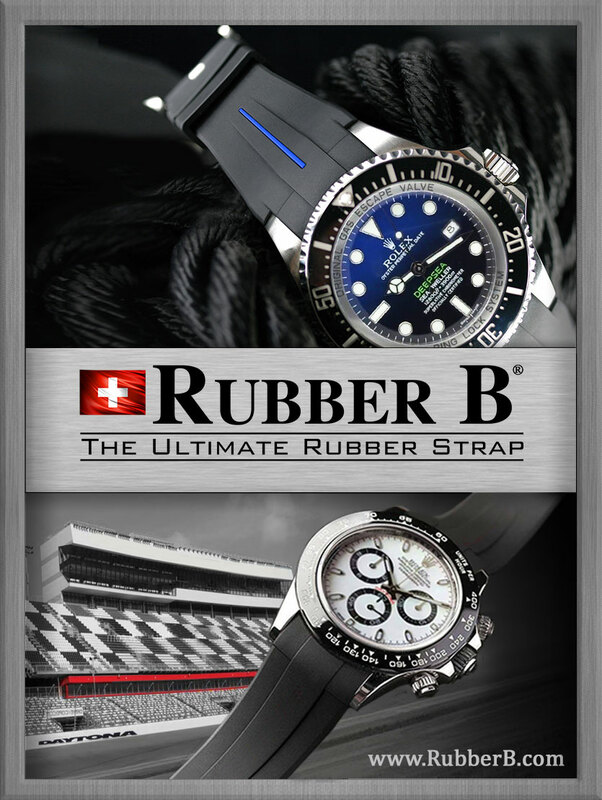 It is amazing how different a Rolex can look when you customize just a few details!!! Amanico took this stunning photo of his vintage Rolex GMT Master that was made for the United Arab Emirates. The UAE Eagle logo looks really cool!!! I never noticed before, but it appears the UAE Eagle has a sailboat symbol on its chest. If you live on the east coast and lost a very old Rolex watch recently, please contact me and I will assist you in getting it back. Assuming it is your watch, you must accurately describe it and I will put you in contact with the police department that has it. A reader of Jake's Rolex Watch Blog alerted me to this, and I am just trying to help out. Kyle is the youngest Rolex enthusiast I have ever met. 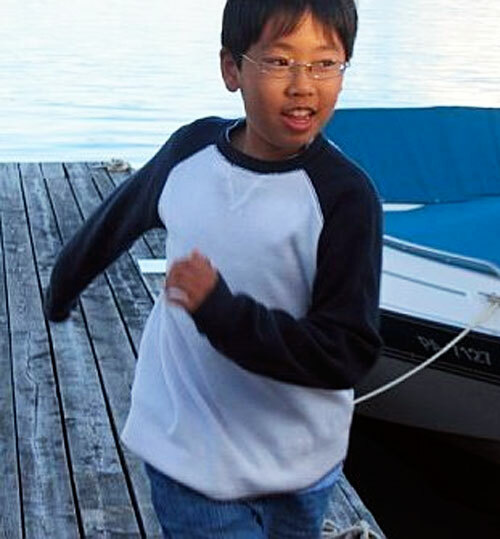 He is 14 today and I met him when he was 13 when he sent in some photos of his Rolex Explorer he bought with his own money, which I put up on Jake's Rolex Watch Blog. I started Jake's Rolex Watch Blog a few years ago, not because I wanted to, but because I had to. I really wanted to share everything I learned in my life about Rolex with my fellow Rolex fans. As a result, I have become friends with people all over the planet, which just blows my mind!!!! Very cool!!! 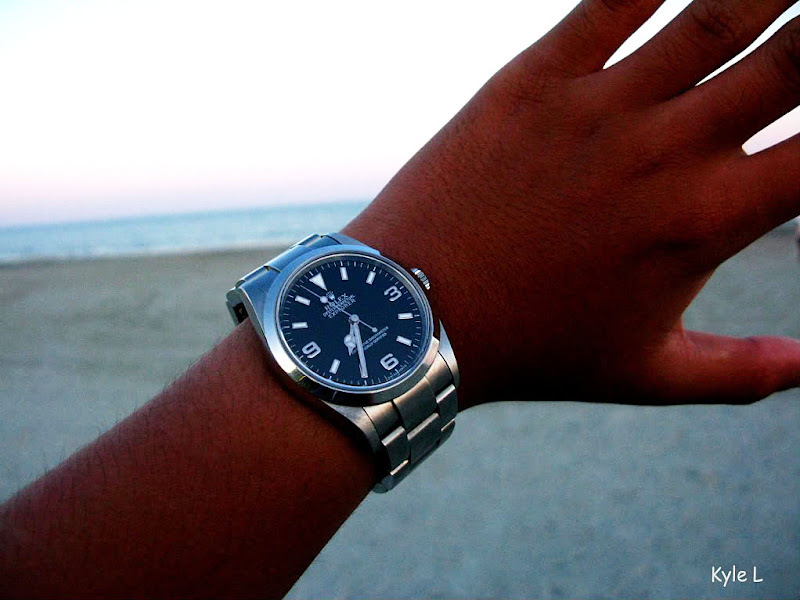 I think this wrist shot (below) that Kyle took of his Rolex Explorer is also very cool. I think it has superb composition and I just think Kyle is so cool!!! If exploring the world of Rolex design gives Kyle, in his lifetime, just 10% of the inspiration it has given me, it will be invaluable, but that is not my wish. My wish it that it inspires him 1000%. "You don't have to be old to be wise. A bird doesn't wait till he dies to fly," which is profound and on-point in my mind. Kyle reminded me of the words from Iwoya so I thought I would include a link to Iwoya which is an amazingly uplifting song–as is the whole Black Ivory Soul album by Angelique Kidjo. Below is a MP3 Clip Widget that will allow you to preview Angelique Kidjo's album named Black Ivory Soul which features the song Iwoya, which is the second song on the album. Enjoy!!! 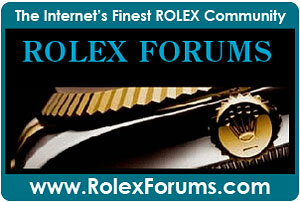 Kyle has his own Rolex Watch Blog named TRF's Collection where he posts images from RolexForums.com members. The following LV Submariner photo and accompanying story from Rambam is awesome, and appears on Kyle's great blog!!! Solar energy technology is amazing and it keeps evolving. I don't understand why they don't make it a law in the U.S. (or in all countries for that matter) that all new home construction should be required to be solar powered!?! 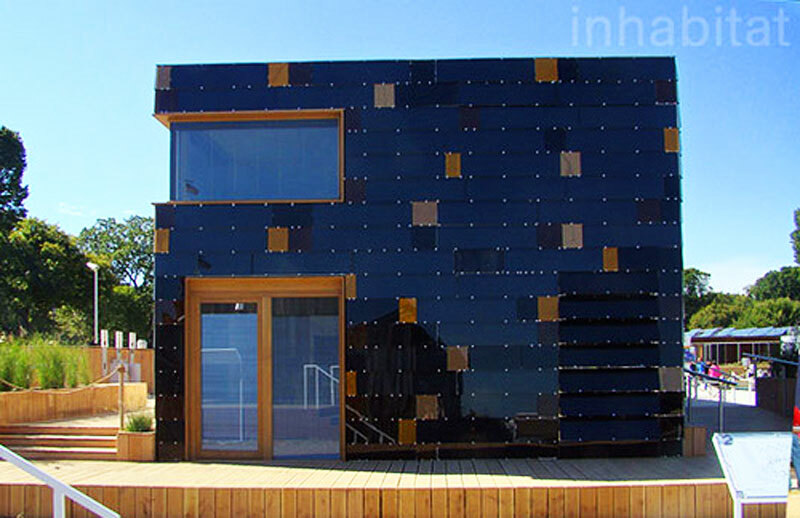 In this recent Solar Decathlon contest in the U.S. Capital of Washington D.C., Team Germany won with this incredible design. Speaking of Solar innovation, I don't understand why they don't cover the entire surface area, including the underbelly of cars with solar skins? The car would literally charge while you were driving it, or when it is parked!!! The Solar Decathlon is a competition between international college teams to design and build the most aesthetically pleasing, energy-efficient, effective solar powered house. You have got to watch these videos!!! You can learn much more about the U.S. Department Of Energy 2009 Solar competition by clicking here. 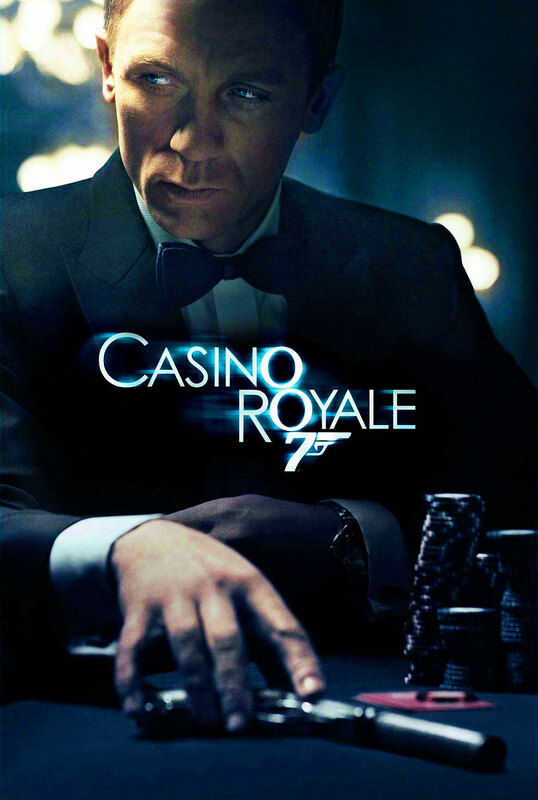 Major James Bond Rolex News Coming This Weekend!!! 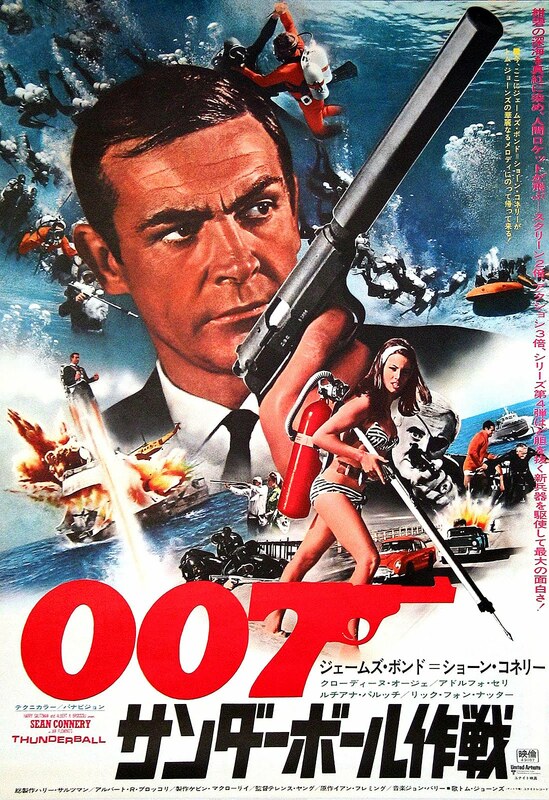 Looks like we are going to have some pretty major James Bond Rolex news coming up this weekend on Jake's Rolex Watch Blog so I thought I would share this Japanese 007 poster with you that I just added to the Complete History Of James Bond Watches Section on Jake's Rolex Watch Blog. 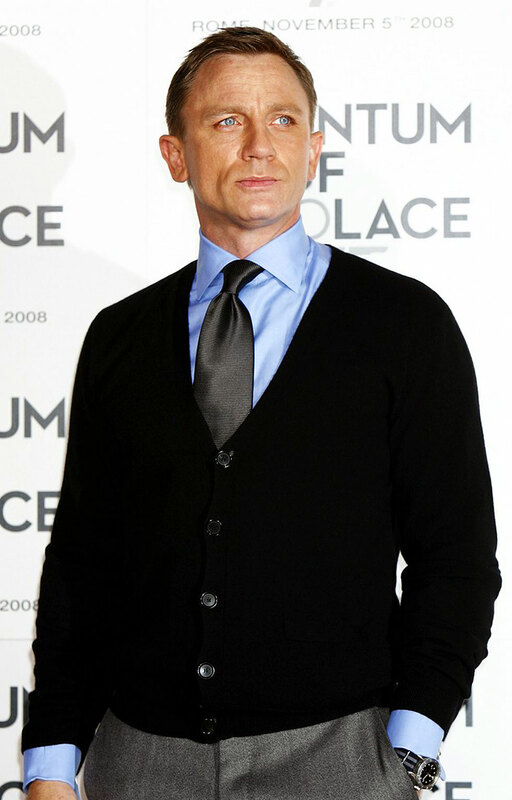 I just completed another major update to the James Bond section so if you want to get an overview of all the watches in all the James Bond movies as well as fascinating insight into Ian Fleming and the genesis of James Bond please click here. 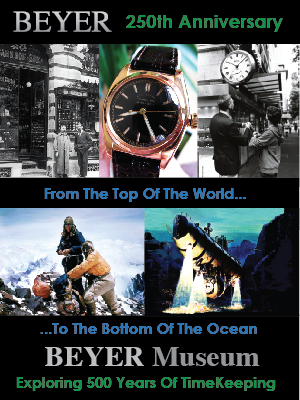 I have an amazing story to share with you, about an extraordinary and magical destination in the world of Rolex. 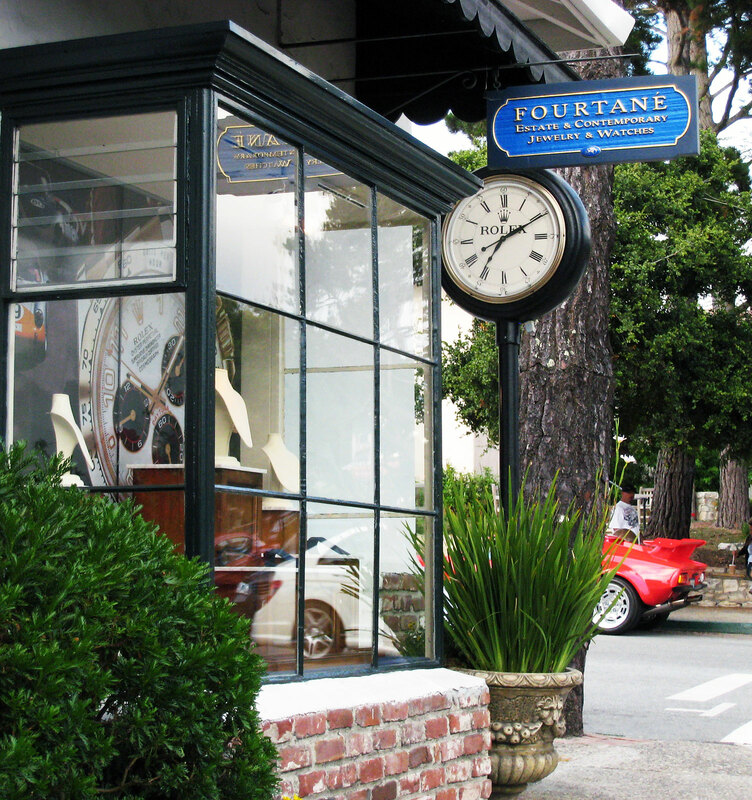 A place located in Carmel, California, U.S.A., named Fourtané Jewelers. Carmel, California is like no other city in the world, and the magnificent photo below taken by Hella Rothwell most beautifully captures Carmel's majestic grandeur. 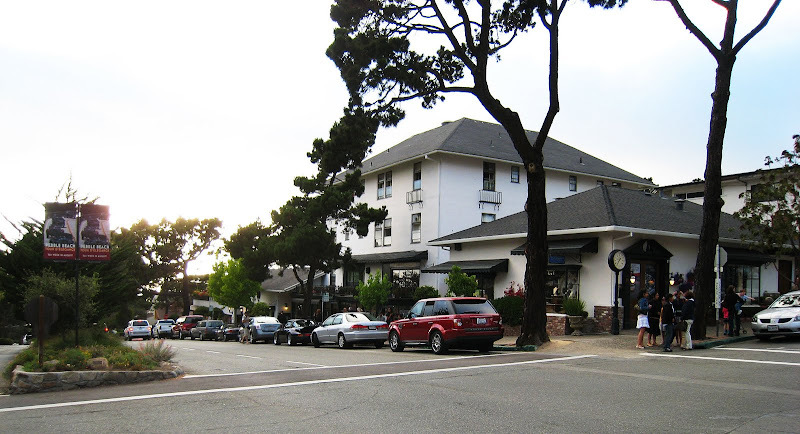 If you are not familiar with Carmel-By-The-Sea it is a magnificent coastal town located about 125 miles south of San Francisco, California in Monterey County on the West Coast of the U.S.A. Carmel is renowned for its majestic scenery and rich artistic history. As you will learn, Fourtané Jewelers is extraordinary in many, many ways. I have never seen ANYTHING in my life like Fourtané Jewelers!!! 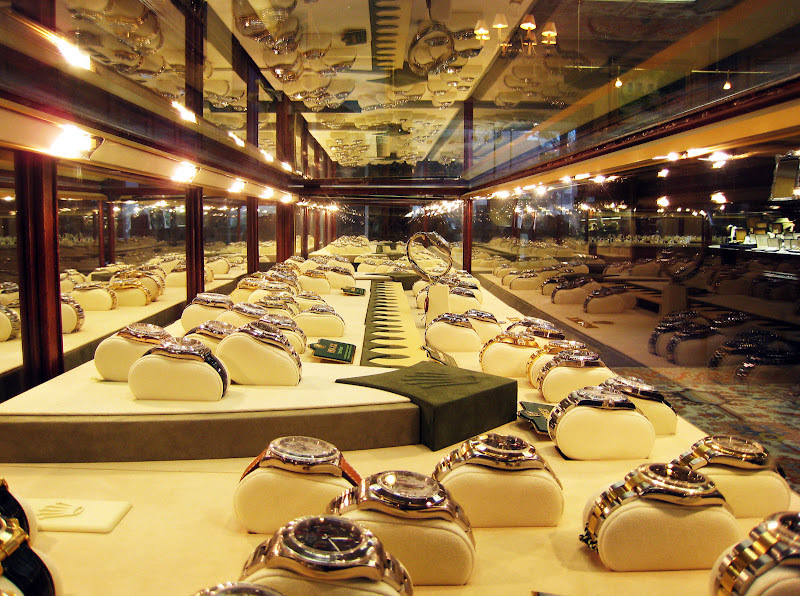 In my mind Fourtané Jewelers is Rolex paradise found!!! 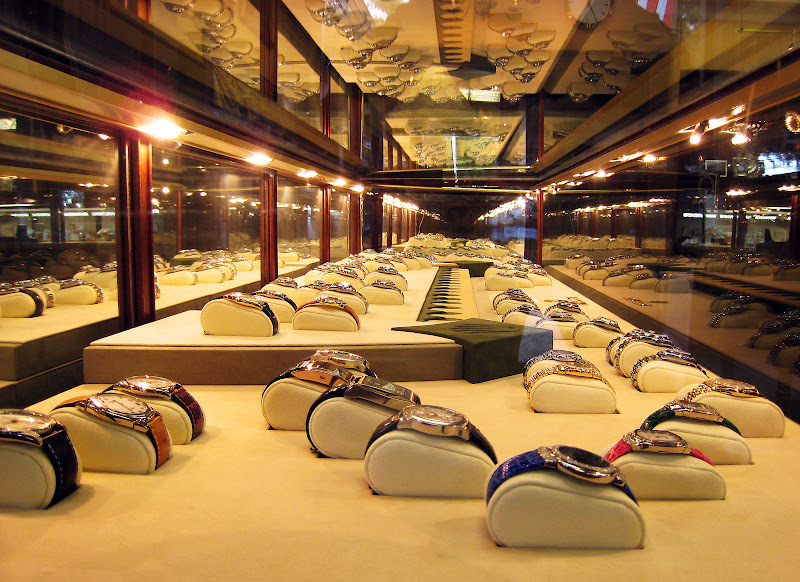 It's a place where intentional Rolex enthusiasts make a pilgrimage to see their favorite Rolex grail watches. 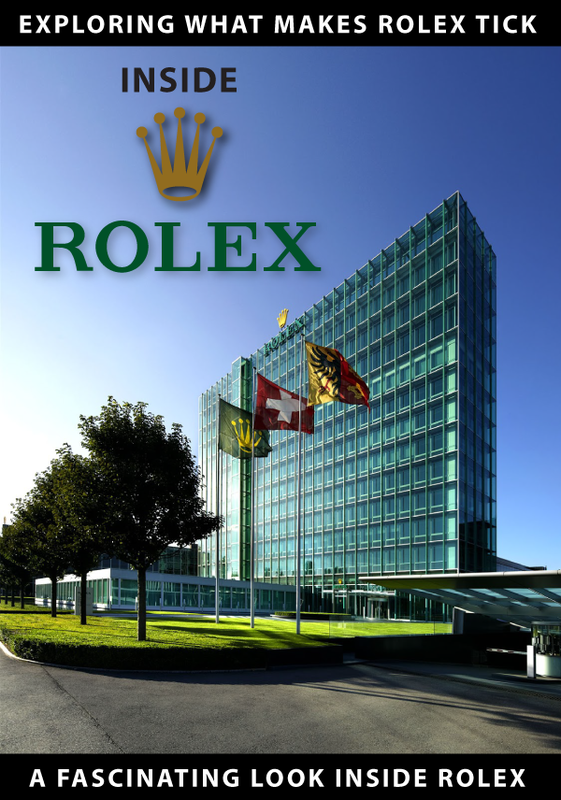 In many ways it is the Mecca of Rolex, or maybe the Disneyland for adult Rolex fanatics–like myself. The first time I saw Fourtané Jewelers and their Rolex collection I was stunned–much in the same way an adult would be the first time they tour Las Vegas. Everything at Fourtané Jewelers seems bigger than life!!! 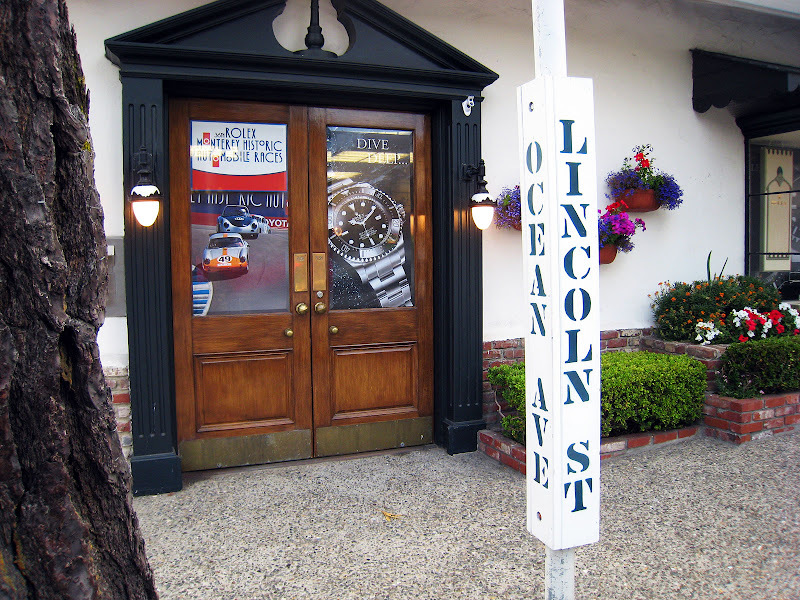 Fourtané Jewelers is located in the historical downtown of Carmel, California at the north-west corner of Ocean Avenue at Lincoln Street in an extremely cozy building that seems almost like it is located in a European village. Fourtané Jewelers has been owned and run for a quarter-century by the Bonifas family and they have the largest collection of new and vintage Rolex watches I have ever seen in my life!!! In the photo below we see Kris Bonifas working with two men who came over from Asia just to attend the recent Rolex GTG and Vintage Rolex Concours at Fourtané Jewelers in Carmel. 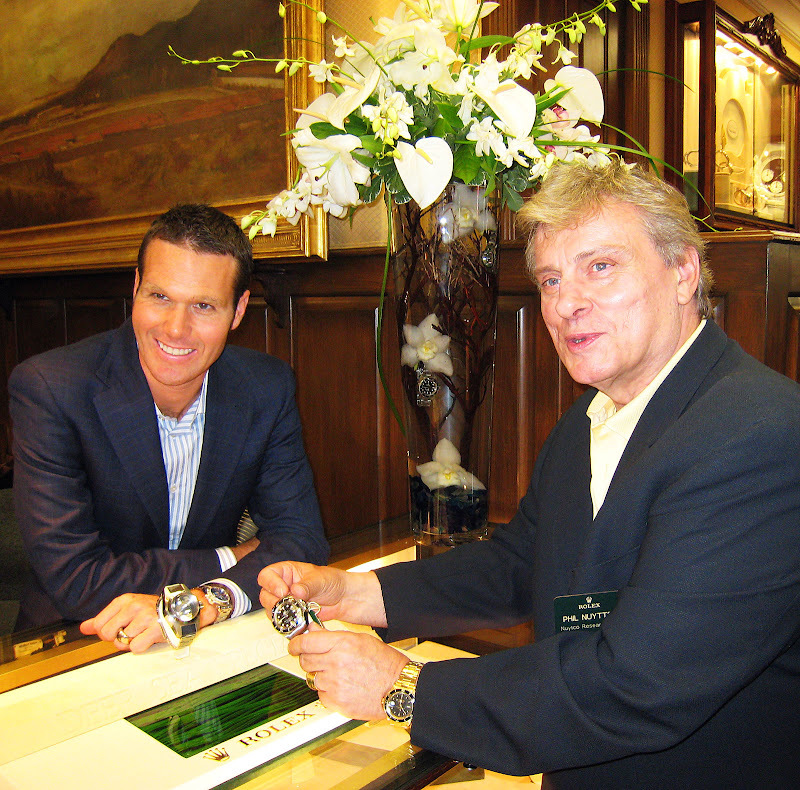 Kris Bonifas is an extremely nice man with an encyclopedic knowledge of Rolex watches and history. 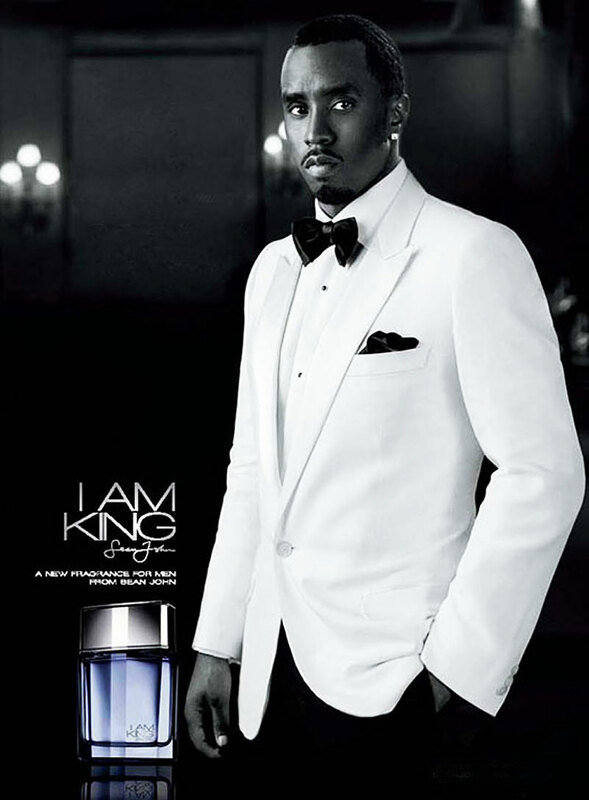 From talking with him at the Councours and GTG I noticed he is extremely passionate about Rolex. 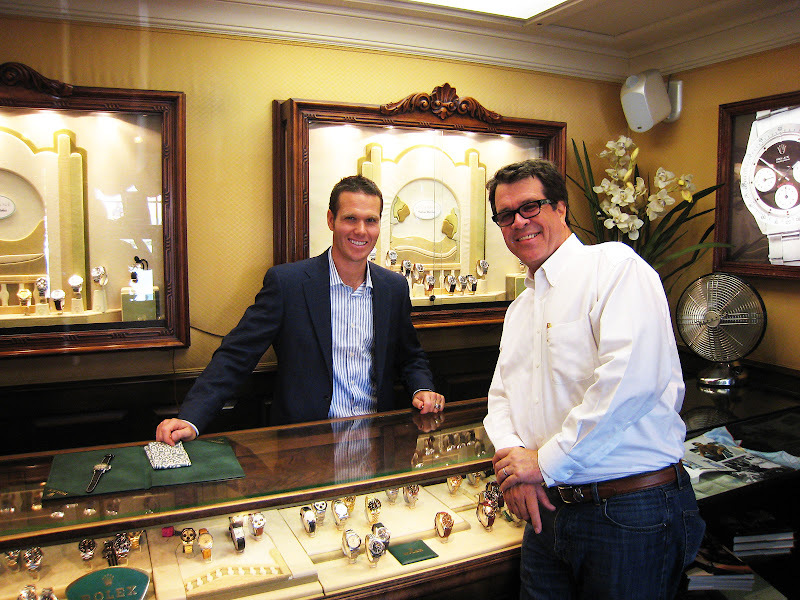 Kris Bonifas' older brother Joshua Bonifas is the General Manager of Fourtané Jewelers and Josh (as his friends call him) is a Vintage Rolex fan of the highest order!!! To be specific, Josh has an amazingly deep respect for and knowledge of Rolex history. When Josh talks about vintage Rolex watches and Rolex history his face lights up like a Christmas tree!!! Josh speaks very passionately about the technical aspects of vintage Rolex watches and their place in history. He talks about how he loves the classic design and vintage style and the special Rolex aura that no other watches exhibit. Josh Bonifas is picture below at a recent historical Rolex event held at Fourtané Jewelers, and we see him speaking with Dan Bennette who recently completed his stint as the President of the Explorer's Club. In the photo below we see Josh's father, John Bonifas (pictured on the right) speaking with Rolex's Committee Member of The Rolex Awards For Enterprise, and world famous DEEP-SEA Diving pioneer, Dr. Phil Nuytten. Dr. Phil Nuytten has amazing career achievements and most importantly he is an extremely nice and gentle man. 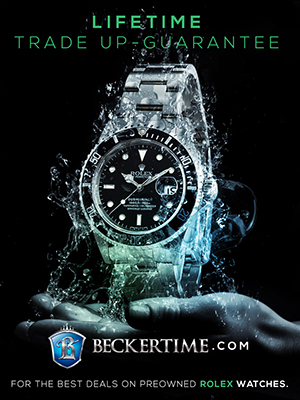 (We will be exploring Dr. Phil Nuytten's career achievements on Jake's Rolex Watch Blog in an upcoming part of the series entitled, The Complete History Of The Rolex Submariner and Sea-Dweller). In the photo below of Josh Bonifas and Dr. Phil Nuytten they are examining one of the extremely-rare DEEP-SEA-SPECIAL Rolex watches that Jacques Piccard attached to the exterior of his Bathyscaphe Trieste when he took it down to the Marianas Trench in 1960 with U.S. Navy's Captain Don Walsh to set the world-depth record. 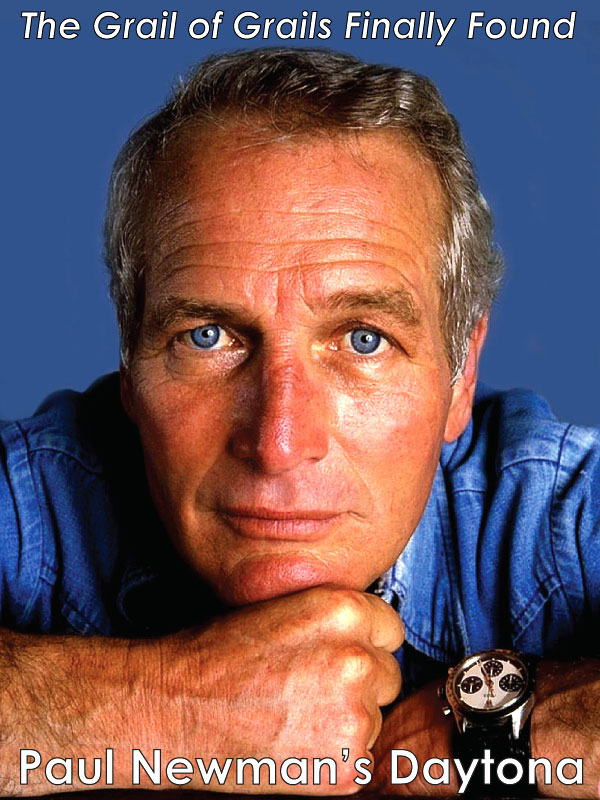 Also note that Dr. Phil Nuytten is holding the new DEEP-SEA-DWELLER in his hand and he is wearing his original yellow gold Rolex Submariner on his wrist which he bought in 1969. Also notice there are Rolex diving watches located in the glass vase with the flowers between Josh and Dr. Nuytten!!! This is the kind of fanatical attention to historical detail I mentioned earlier which Josh exhibits. As a matter of fact, in the late 1920s through the 1940s Rolex dealers used to display Rolex watches in fish-bowls to show-off their waterproof Oyster casing. Josh takes a more elegant approach by putting them in the glass vase!!! I believe this photo best sums up the notion that Fourtané Jewelers has a deep respect and appreciation of Rolex history, and indeed it is Where Rolex History Meets The Present. This next photo is of the Rolex DEEP-DEA-SPECIAL that was on display at the Vintage Rolex Concours Exhibition at Fourtané Jewelers recently. 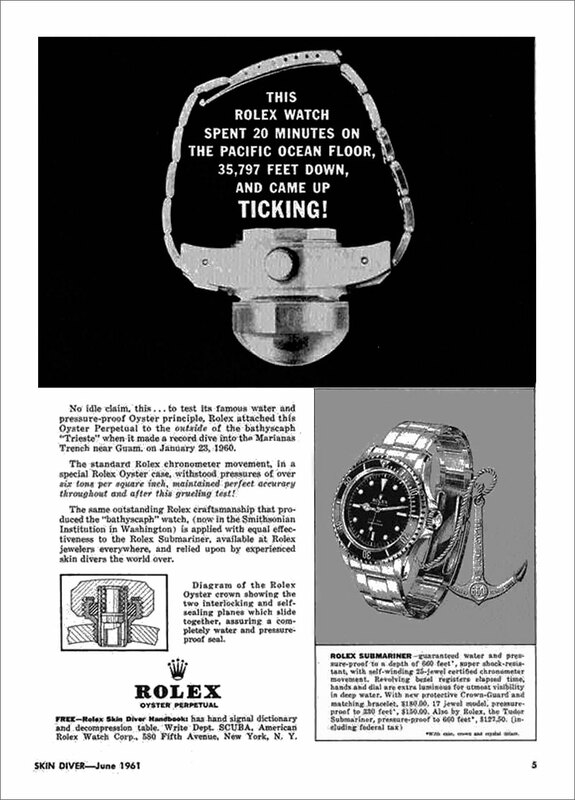 Pictured below is a vintage 1961 Rolex Magazine ad from Skin Diver Magazine that features the original Rolex DEEP-SEA-SPECIAL that Jacquess Piccard and Captain Don Walsh attached to the outside of their Bathyscaphe Trieste. 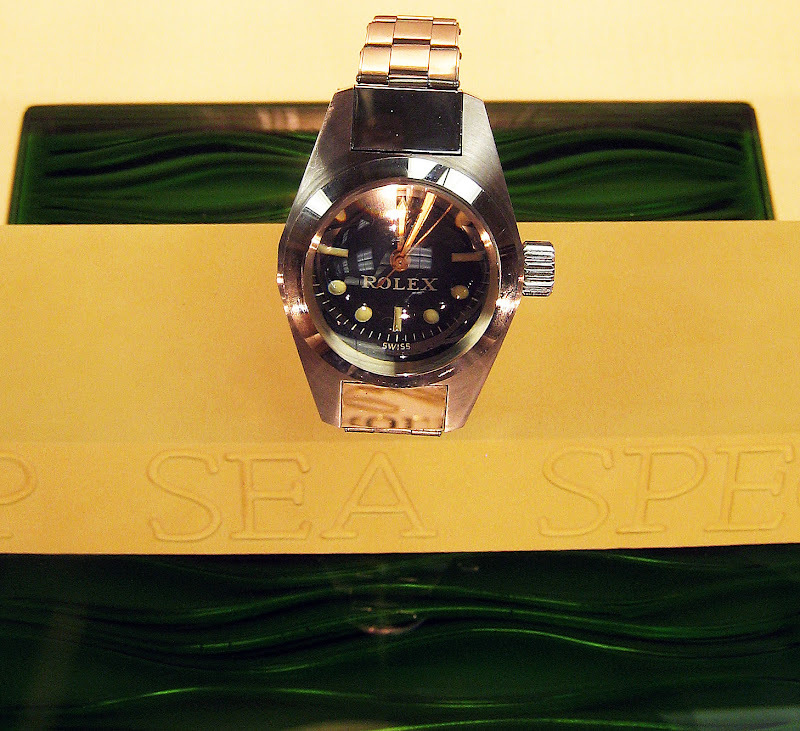 This is the same Rolex DEEA-SEA-SPECIAL in the two pictures above. 2009 was a seminal year for Fourtané Jewelers in many ways. First of all, Sheldon Smith of Minus4Plus6.com and I decided to add a second San Francisco GTG (Get Together) date to our annual GTG calendar in Carmel. Secondly, Fourtané Jewelers decided to have their first Vintage Rolex Concours (VRC) in which they displayed major historical vintage Rolex watches. This included (as seen in the photo below) the first Rolex ever made–straight from Rolex's vault in Geneva, Switzerland!!! In the photo below we see many more historically significant Rolex diving watches including the ultra-rare SEA-LAB SINGLE RED SEA-DWELLER, and many Double Red SEA-DWELLERS. I think you could travel the world and never see such an amazing collection of vintage Rolex watches anywhere!!! 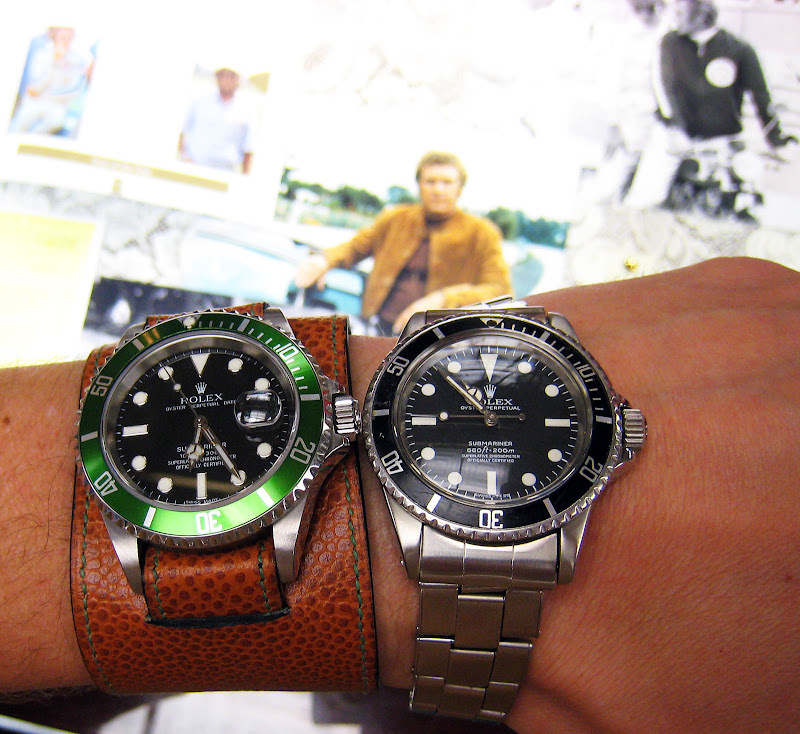 Pictured below are two very famous COMEX Rolex SEA-DWELLER watches from the famous JANIS IV. 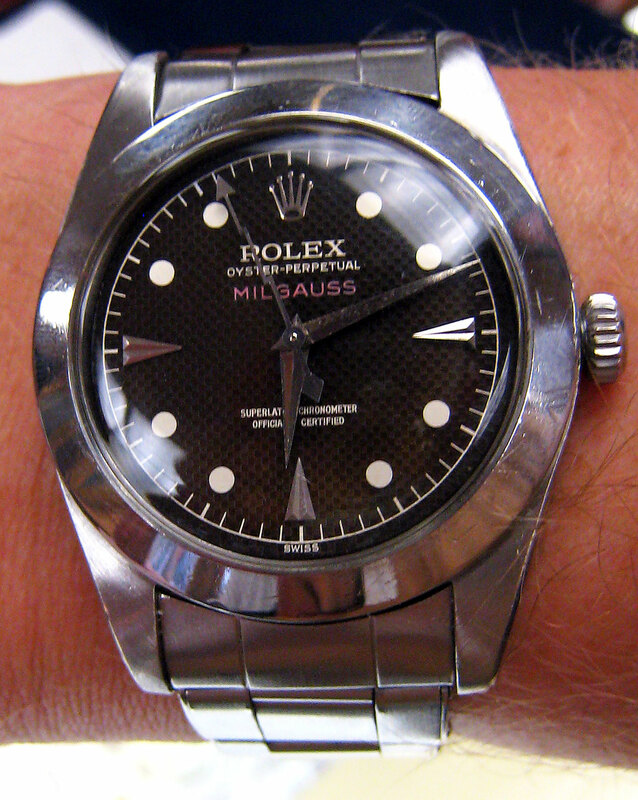 In this next photo I am trying on an original Milgauss which is an unusually interesting Rolex. I really like the duaphine hands with the lightning bolt second hand and the honeycomb black dial with the red Milgauss designation. I also like the pyramid 3,6,9 indices along with the wide bezel. The photo below is the side profile of the Rolex Milgauss above. If you click on the profile image below and study the details you really get a sense of what makes vintage Rolex design so great!!! 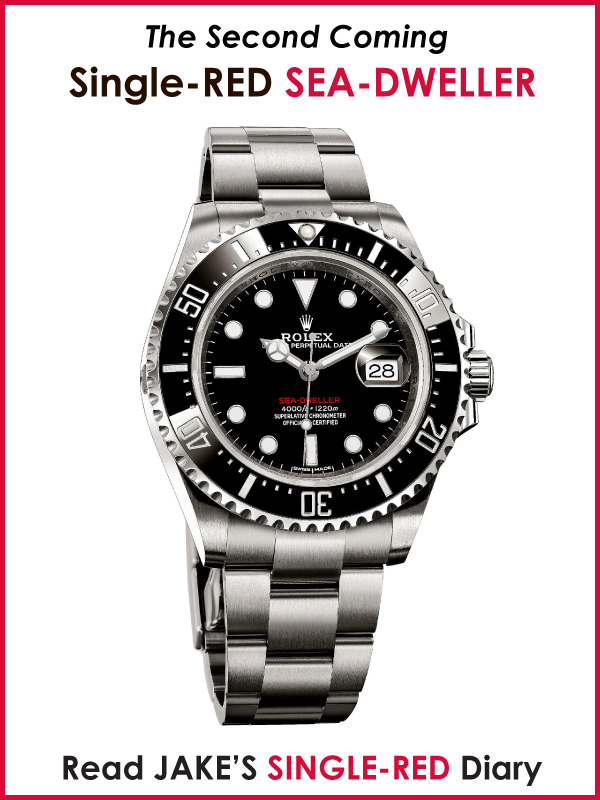 Carefully study the detail in the riveted bracelet and the super-elegant Rolex stamped logo on the back of the clasp. The perfectly domed crystal with the extra-wide bezel. What lines!!!!!!!!!! In the next photo I am wearing Rolex #1. 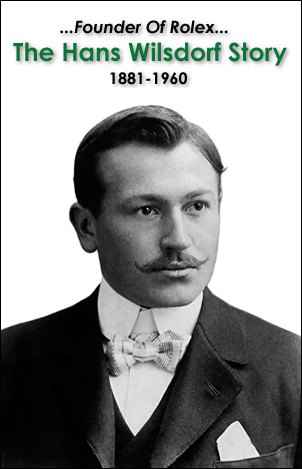 Rolex #1 is the first Rolex Hans Wilsdorf ever made in 1908. 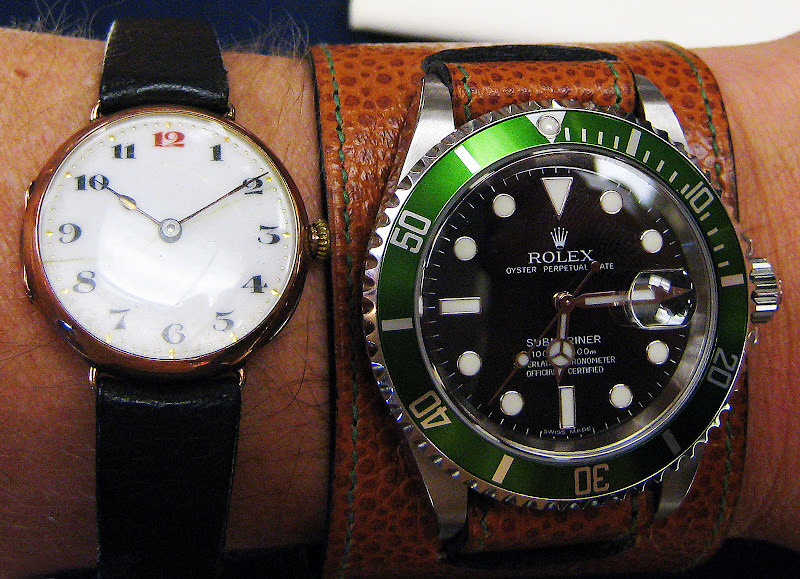 I put Rolex #1 on my wrist next to my LV Submariner on my trademark JAKEe FATSTRAP for comparison sake. 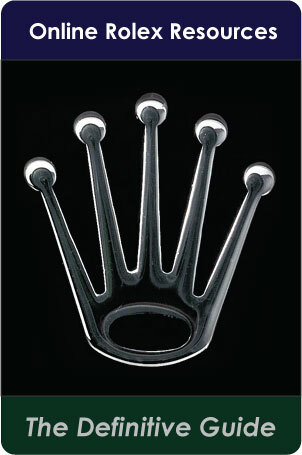 Several things stand out about Rolex #1 in my mind. First is there is that touch of red with the red 12. 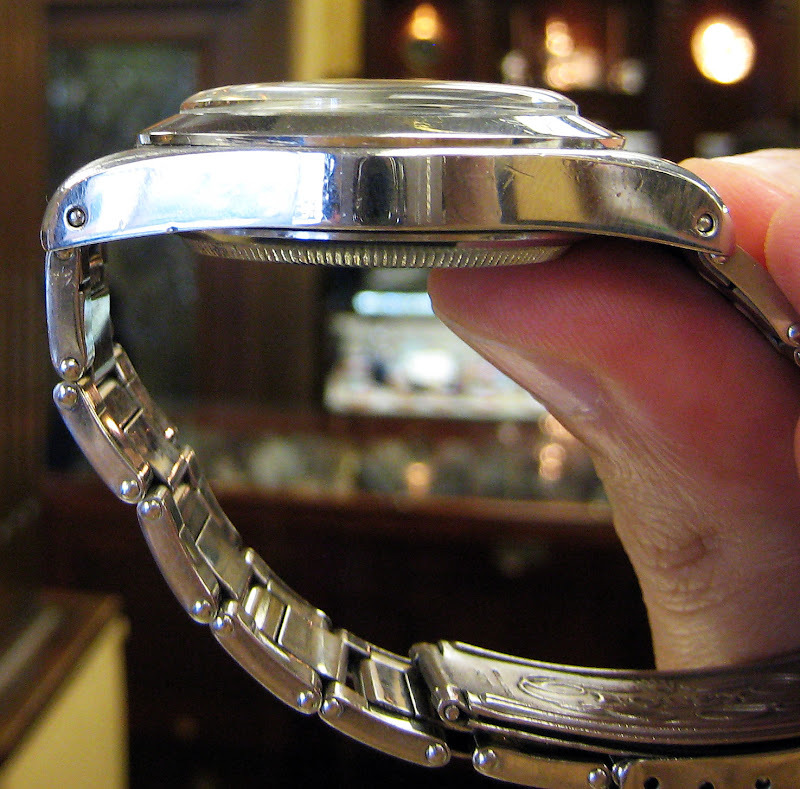 Second is how small and dainty the watch is by todays standards. 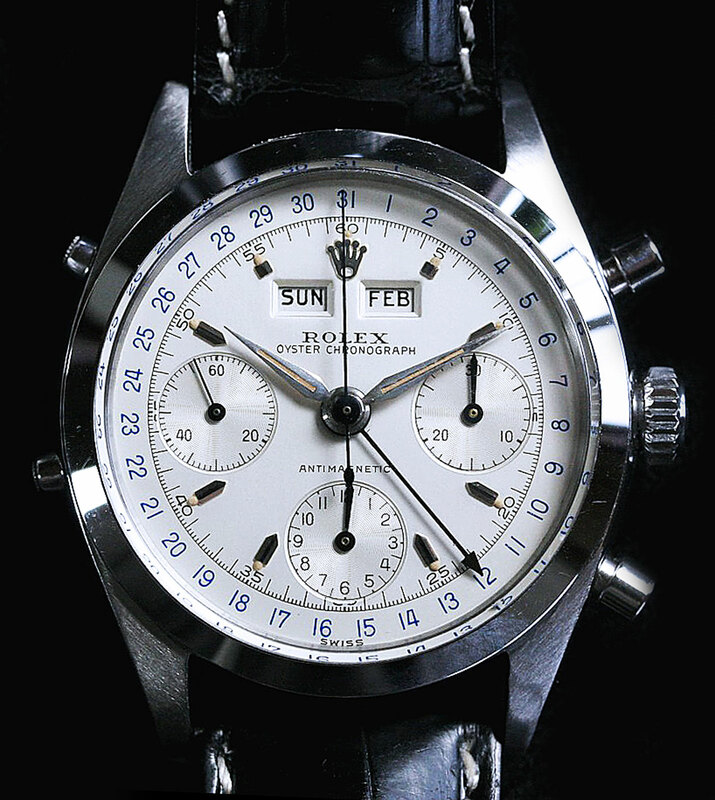 Last but not least is the amazing historical significance behind the Rolex #1. To think I am wearing a Rolex that Hans Wilsdorf (the founder of Rolex wore in 1908) wore on his wrist just blows my mind!!!! What history!!!!!!!!!! 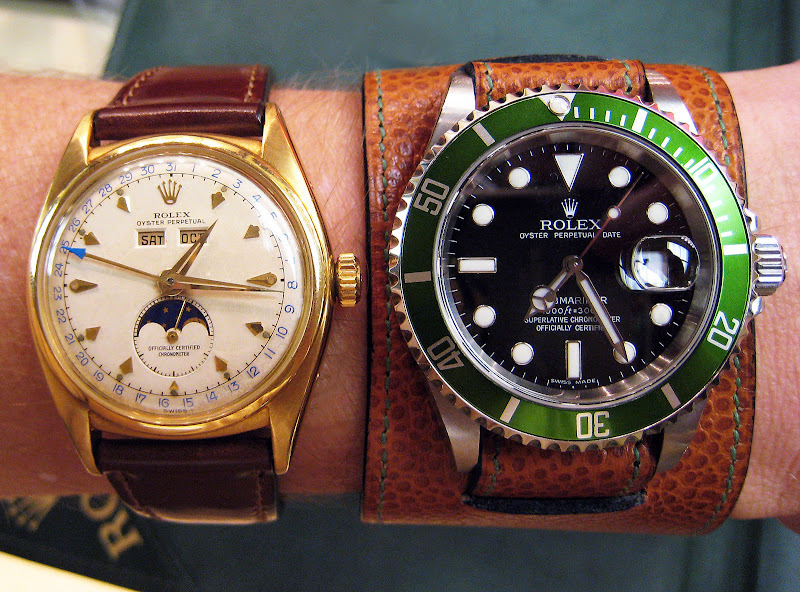 Rolex #1 is from Rolex's collection in Geneva Switzerland and was only for display, but as we see in the photo below I am comparing an early Rolex Moonphase [Reference 8171] to my LV Submariner. Despite being made in the 1940s, the first Rolex Moonphase was a large 38mm and was not an Oyster. 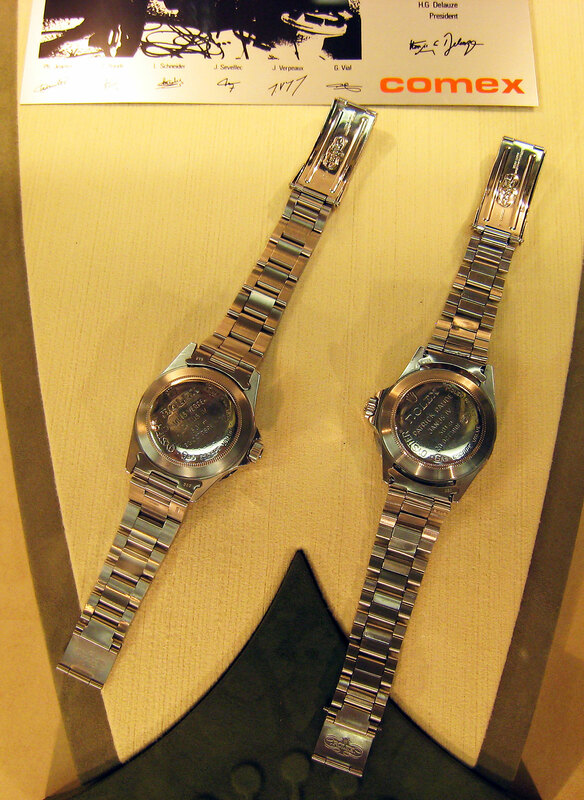 It is amazing to see these watches next to each other and to notice how similar the lug shape is. 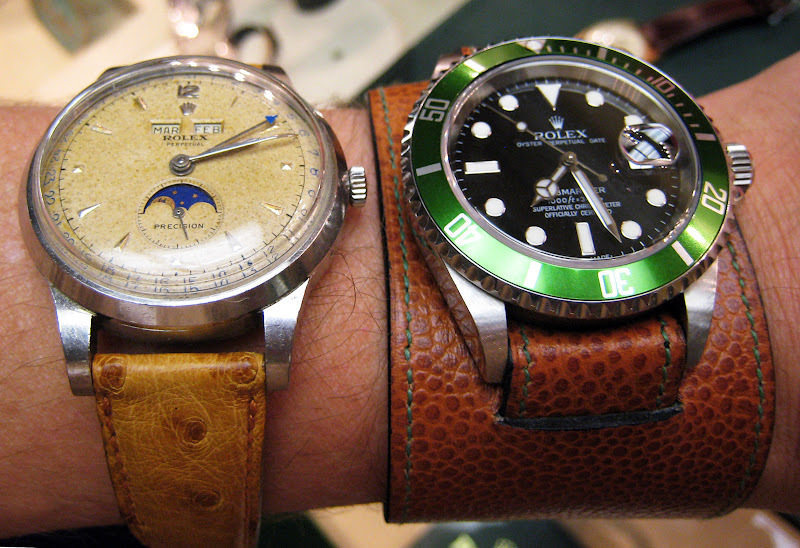 Another great benefit is to actually see these magnificent vintage Rolex watches in person and try them on. I am used to seeing photos of them in books and on the internet, but actually seeing them in person completely gives you a different perspective. The Rolex Moonphase watches pictured above and below belong to Fourtané Jewelers and are part of their vintage Rolex collection they sell. The beautiful Rolex Moonphase pictured below comes in a Super-Oyster case and is a Rolex reference 6062 Moonphase, which is one of my favorite vintage Rolex watches. 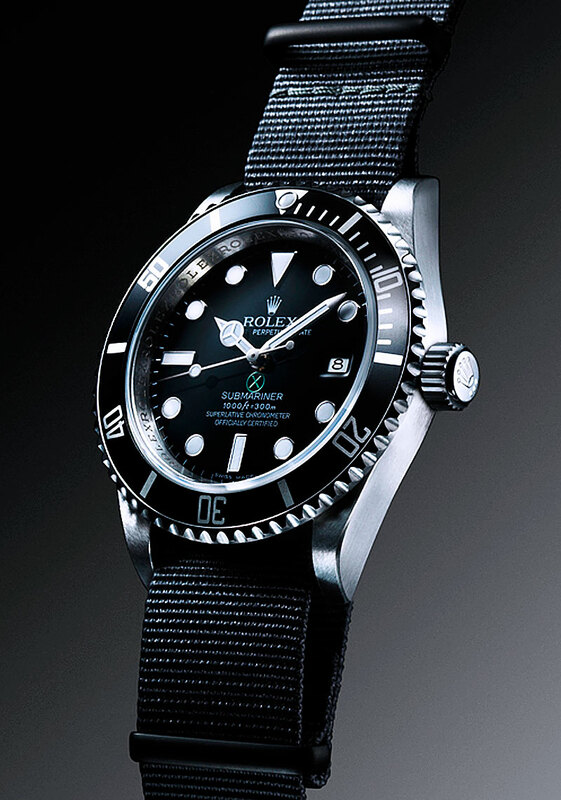 Fourtané Jewelers, as part of their Vintage Rolex Concours had on exhibit Steve McQueen's Submariner [Reference 5512]. This watch is owned by a private party and was not for sale. 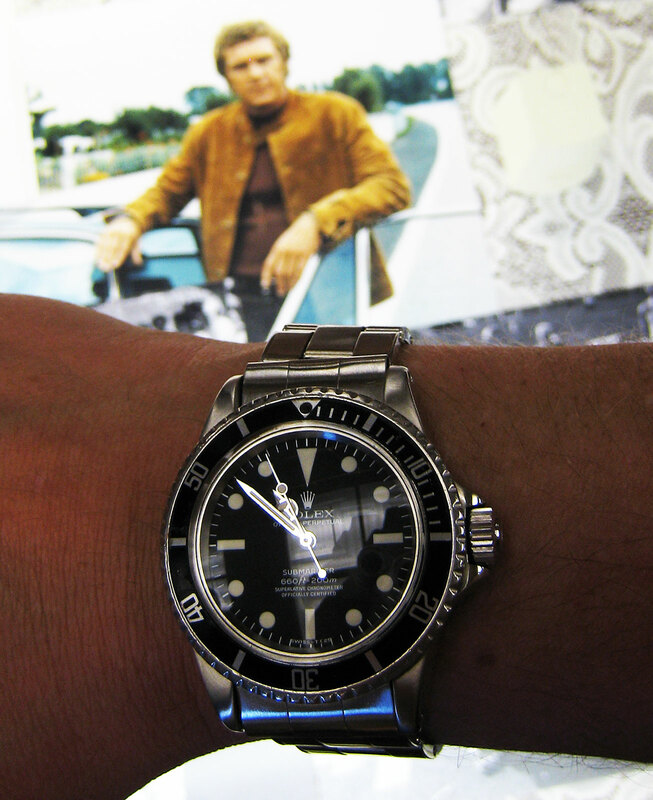 In the photo below, I have Steve McQueen's Submariner on my wrist next to my 50th Anniversary LV Submariner. The thing that really strikes me is how totally timeless and similar the two Rolex Submariner design language is, despite being manufactured 4 decades apart. Steve McQueen was left-handed and wore his trademark Rolex Submariner on his right wrist, so I took this shot of the watch on my right wrist. Very, very cool!!!! 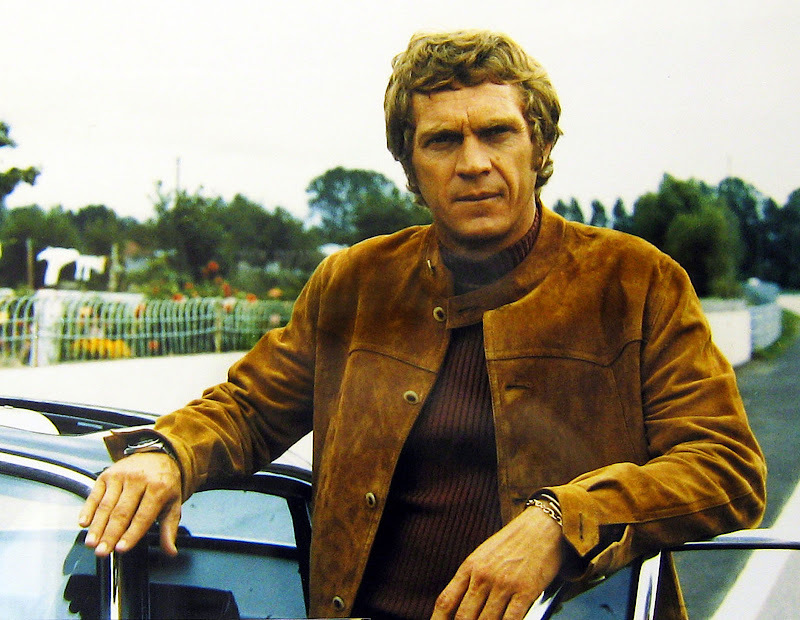 Steve McQueen is pictured below wearing his trademark Rolex Submariner standing next to his forest-green Porsche 911. The Porsche 911, Rolex Submariner and Steve McQueen are three of the most timeless and iconically cool images in the world. 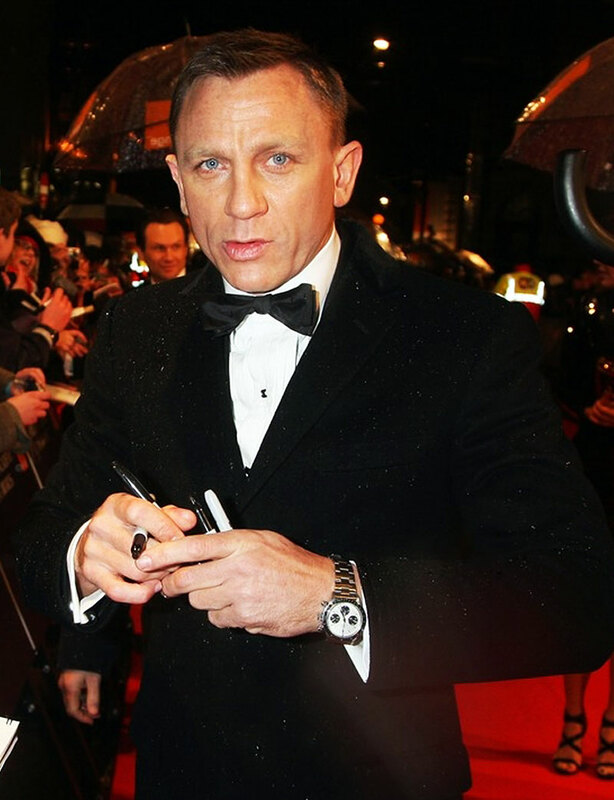 As a side note, in Fourtané Jewelers you will find watches like the Steve McQueen Submariner. 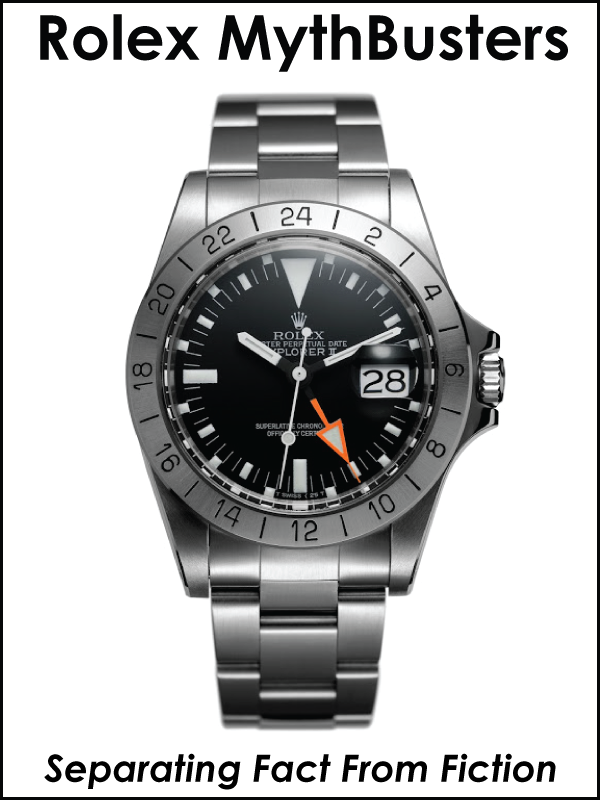 You will not find any falsely dubbed watches like the Steve McQueen Explorer which never existed. Why? because Fourtané Jewelers is the real deal. 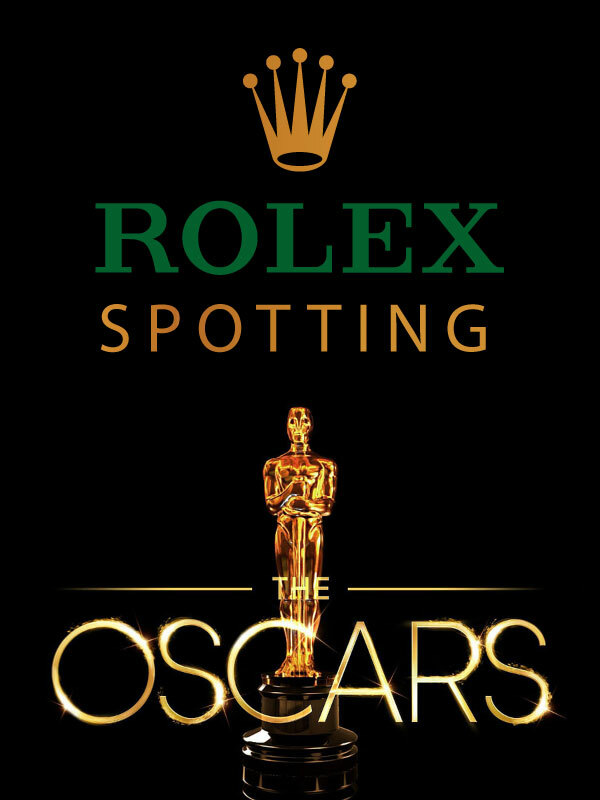 This is based on integrity and a passion for real Rolex history. Fourtané Jewelers has the largest selection of vintage Rolex watches for sale I have ever seen or heard of in my life!!! They typically have around 150 vintage Rolex watches for sale, which makes visiting their store like a little kid visiting Disneyland. 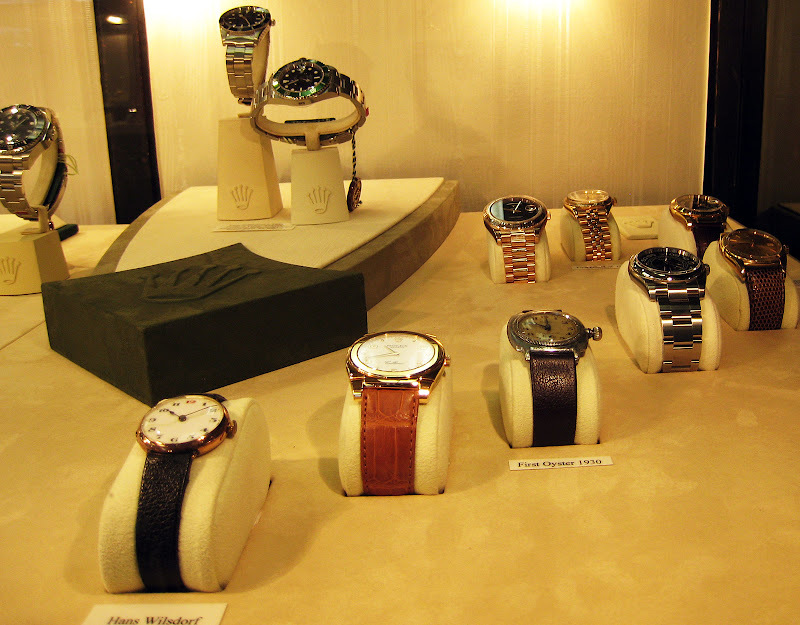 In many ways Fourtané Jewelers is like a Rolex museum–except, most of the time, most of the watches are available for sale. In the photo below we see one of many cases filled with beautiful vintage Rolex watches!!! 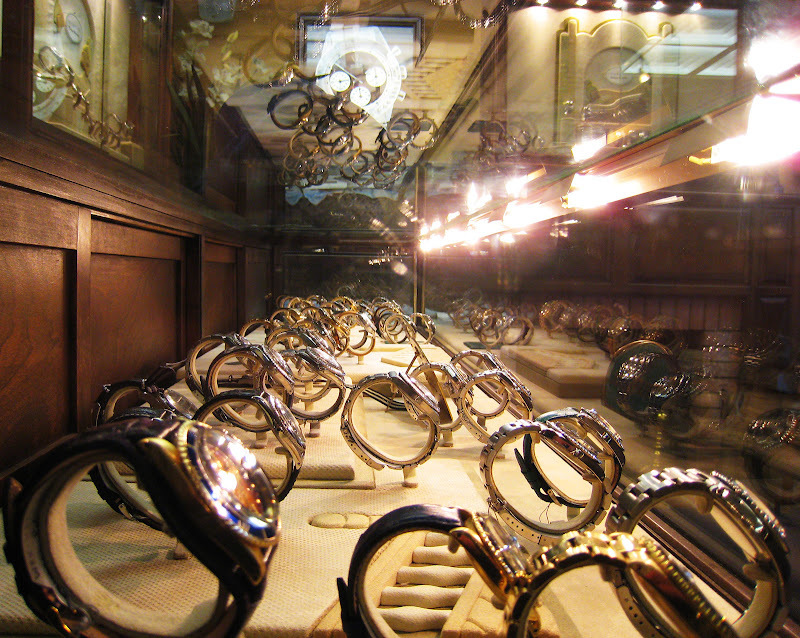 In this next photo we see a case filled with Rolex Cellini watches including Rolex Prince models. 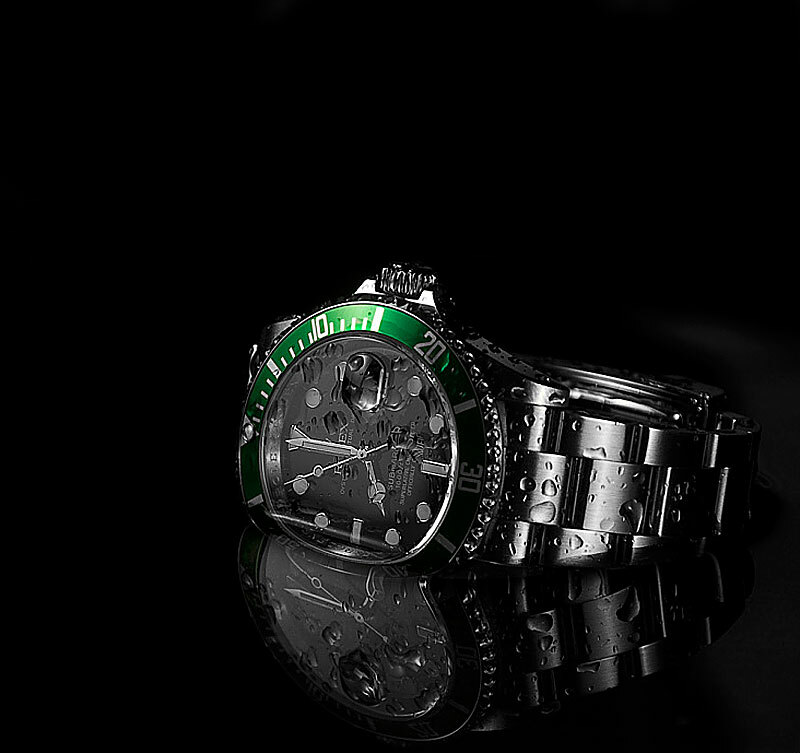 Since Fourtané Jewelers is an authorized Rolex Dealer, in this next case we see modern Rolex watches of every type. 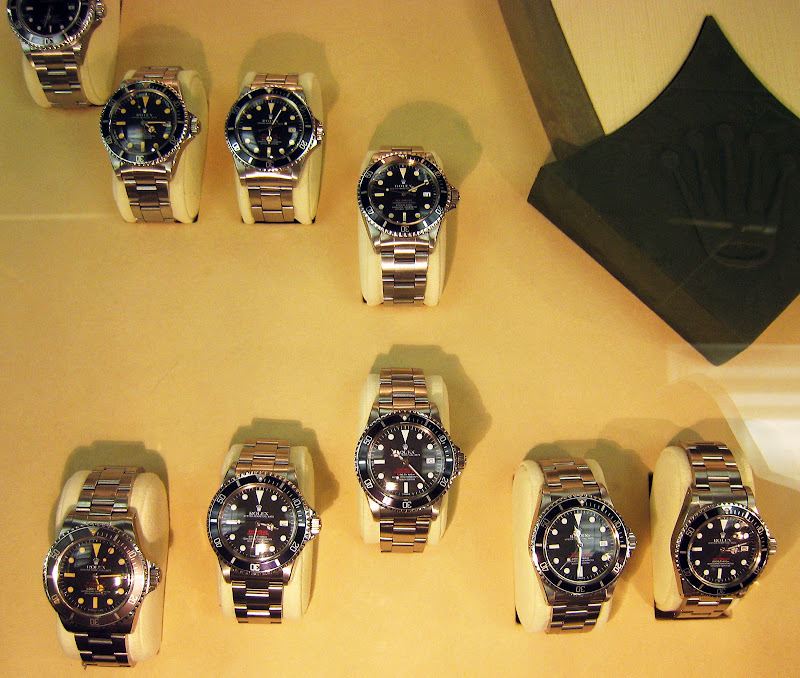 Fourtané Jewelers typically has 300 brand-new modern Rolex watches in-stock. I have to say, the first time I stepped into Fourtané Jewelers, it completely blew my mind!!! They literally had every modern Rolex model I have ever seen–including all the exotic modern masterpiece Rolex watches. 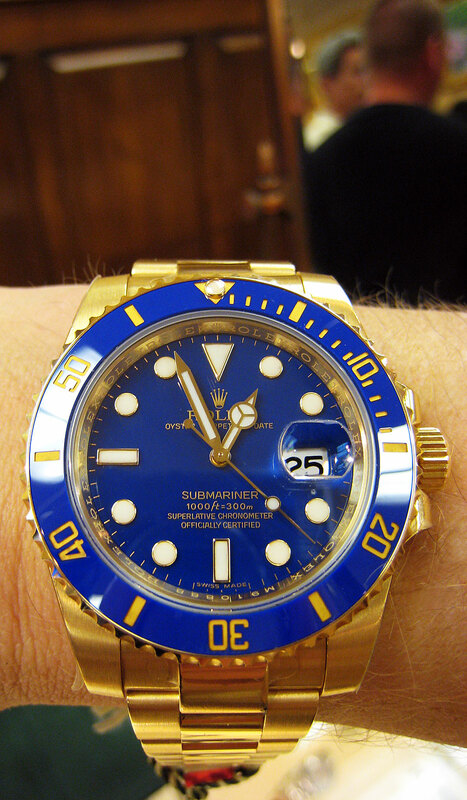 I tried on a whole bunch of modern Rolex watches I had never seen before in person like the all-new Supercase (pictured below) yellow gold Rolex Submariner with the blue ceramic bezel insert. What a watch!!! I also tried on the 50th Anniversary yellow gold GMT Ceramic Supercase which is probably my favorite yellow gold Rolex. 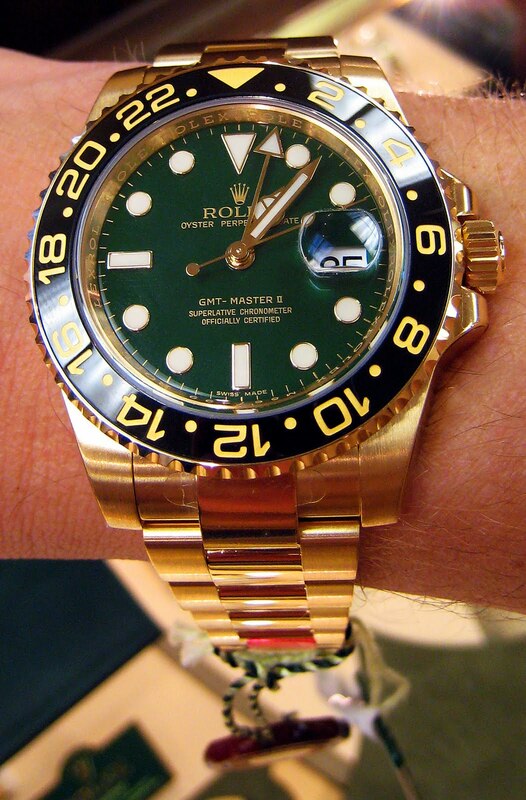 I love the forest green dial with the contrasting yellow gold writing and Maxi Markers. Very cool!!! 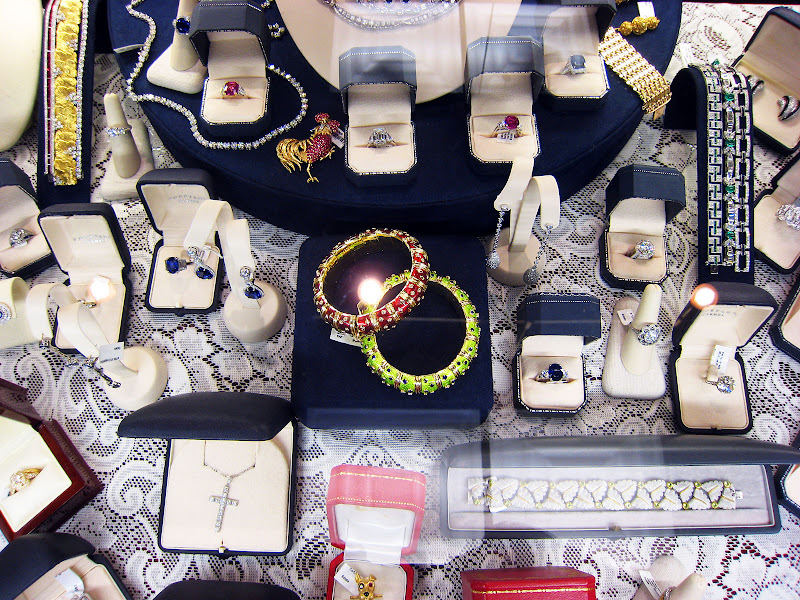 Fourtané Jewelers also offers timeless estate jewelry and other fine modern Jewelry. John Bonifas, the founder of Fourtané Jewelers has always had a deep appreciation for high-quality estate jewelry from the most famous jewelers including Cartier, Tiffany & Co, Boucheron, Faberge, Lalique, Castellani, Giuliano, Van Cleef & Arpels and the list goes on an on. 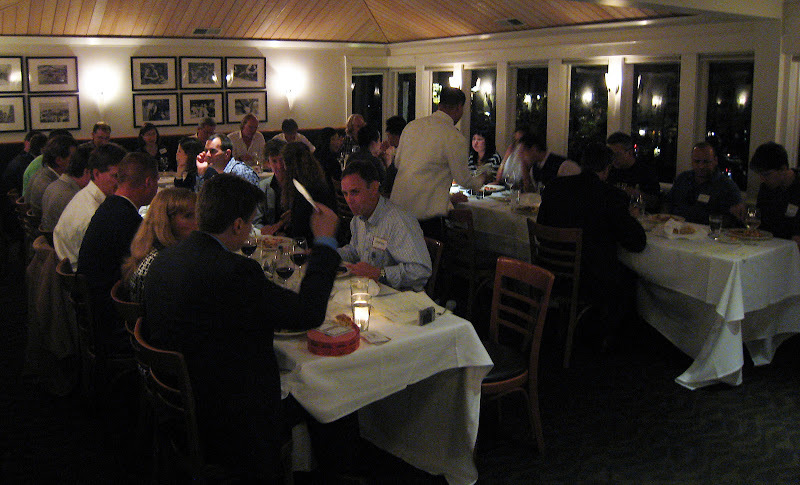 The inaugural San Francisco/Carmel, California GTG (GTG Dinner pictured below) was a huge hit!!! 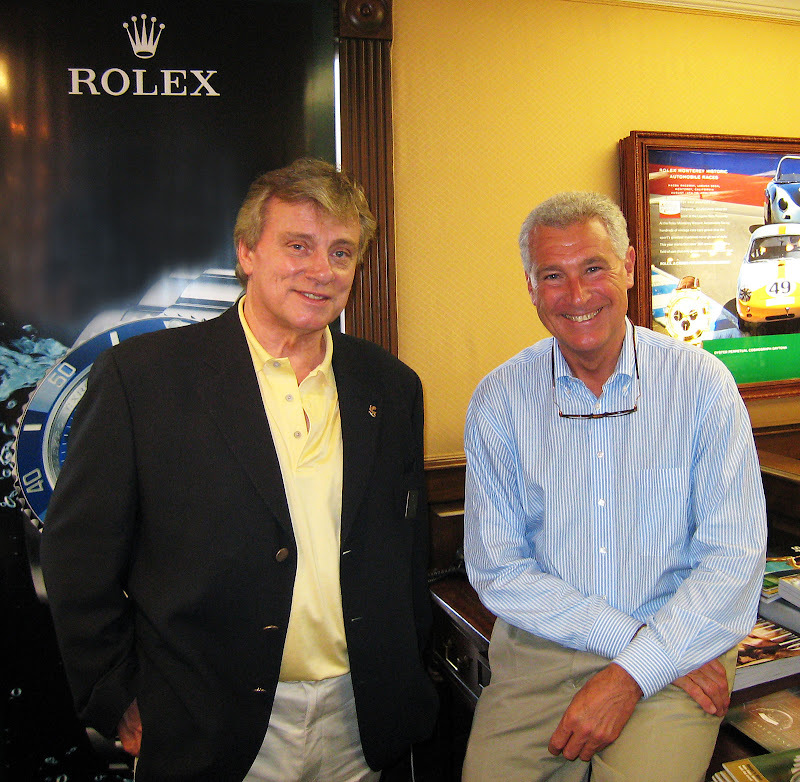 Rolex fanatics flew in from all over the world to attend and we will be having the next Carmel GTG on Saturday, August 7, 2010. 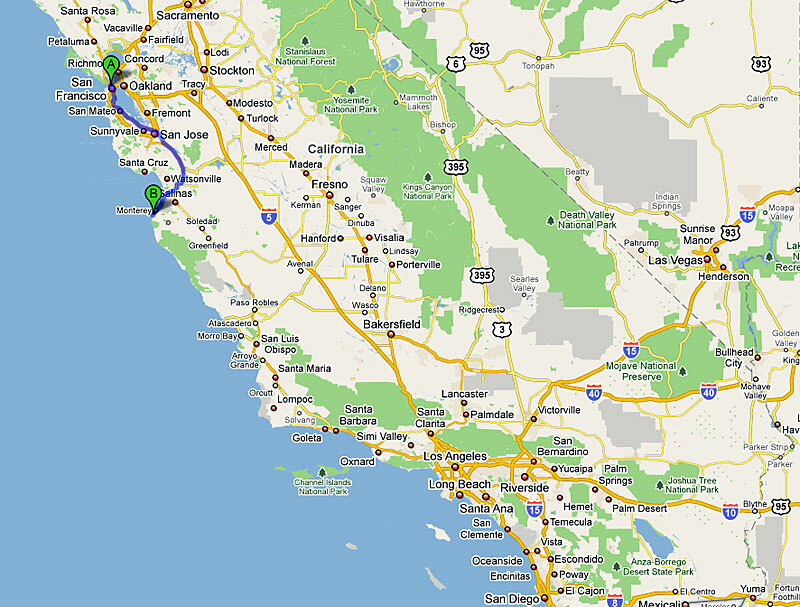 This is the Saturday before the Concours de Elegance car exhibition takes place in Carmel, California. Fourtané Jewelers will also have its 2nd annual Vintage Rolex Concours that same week and from what Josh tells me, there are going to be some amazing historical pieces which should be really fun and fascinating!!! If you have never attended the Concours de Elegance car exhibition it will blow your mind!!! I just attended it for the first time this year and it took my breath away!!! You can literally feel the magical energy in the air. 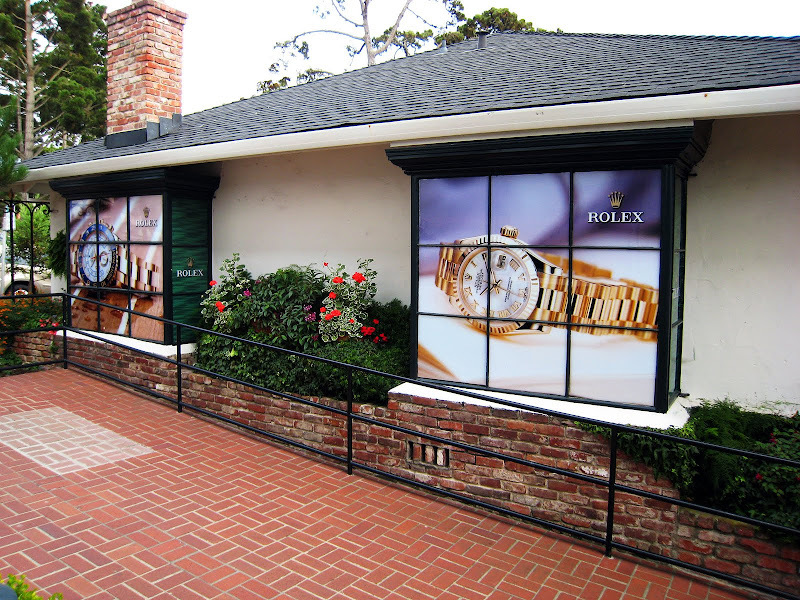 Next time you visit Carmel or California make certain to stop by Fourtané Jewelers and check out their mind-boggling collection of vintage and modern Rolex watches. 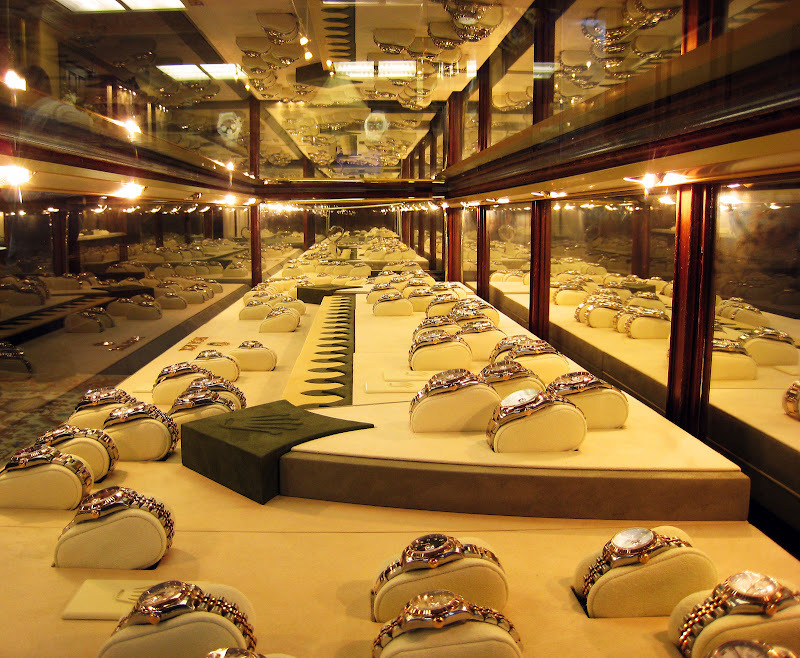 You will never see or experience anything like Fourtané Jewelers!!! I know I haven't!!! Everything from their cozy store to their knowledgeable staff is incredible. Just incredible!!!! If you are not familiar with Carmel-By-The-Sea it is a magnificent costal town located about 125 miles south of San Francisco, California in Monterey County on the West Coast of the U.S.A. Carmel is renowned for its majestic scenery and rich artistic history.